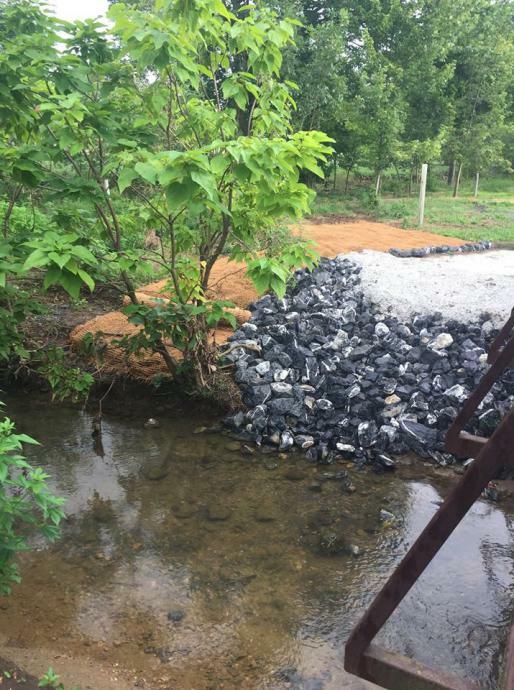 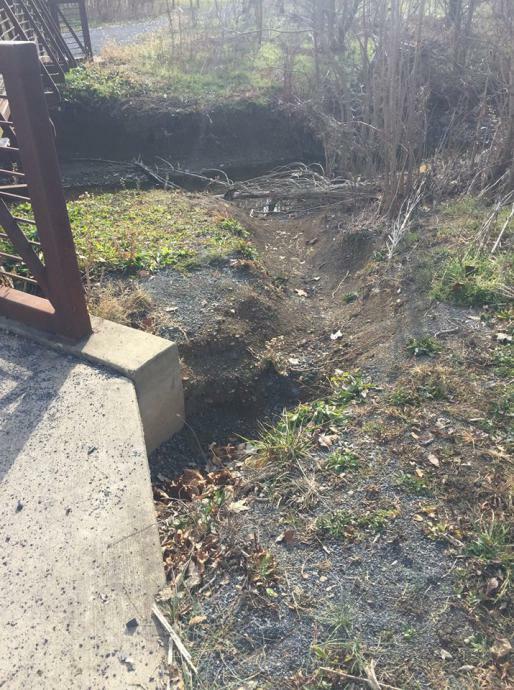 Stormwater runoff was causing severe erosion next to one of the bridges in Purcell Park. 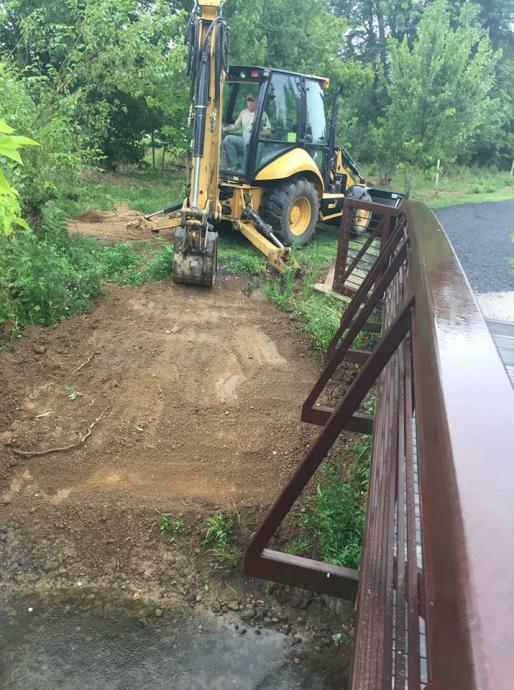 The area was regraded, concrete was poured where the gully used to be, and rip-rap was added for reinforcement. 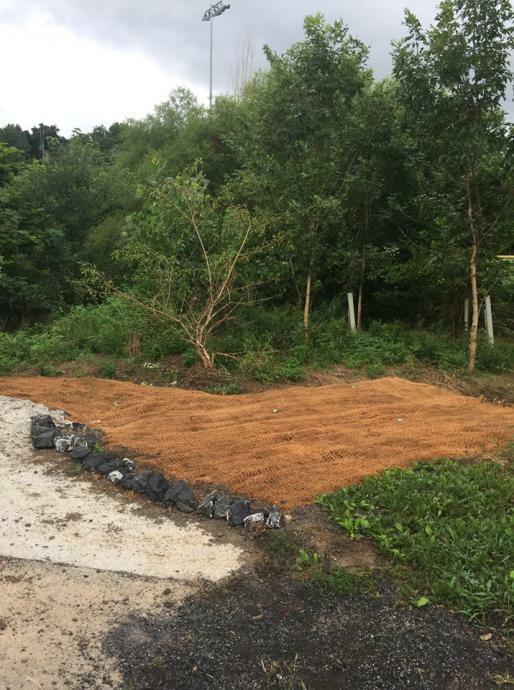 Jute mesh was put down and the area was seeded with a native seed mix.